Current member Dave Pajoannounced that he is quitting the New York rockers, effective immediately. Brad Truax, who has worked with Gang Gang Dance and Animal Collective, will replace him. New personnel change: Dave Pajo is tagging out, folks. Dave has decided to step out of the spotlight for a spell, and will no longer be touring with Interpol. We're all friends. It's just an Out-of-the-hotel, Into-the-home sorta thing. He's going to be missed to be sure. Aside from being an exceptional musician, Pajo is a wonderful person to be around. "I would like to announce that I will no longer be performing live with Interpol on their upcoming campaign. I'll be taking a break from touring to focus on family. There are no personal, artistic or health reasons--it's really as simple as that! I would like to thank Paul, Daniel, Sam, Brandon, everyone in the crew, and all of the Interpol fans for the remarkable support and patronage they have shown me during my time with them. 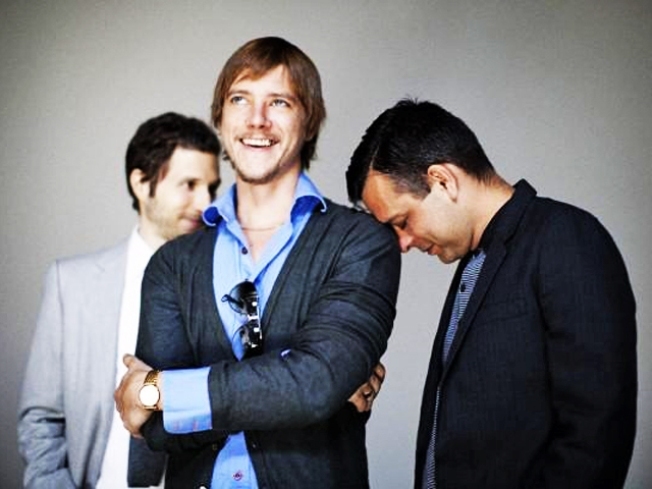 I feel a tremendous amount of love and respect for everyone involved and will genuinely miss them.I will continue to record and perform music, with bands as well as solo, I just won't be touring as much.I am truly grateful for the experience and look forward to enjoying Interpol in the future, as a fan and friend. Walk in light, walk in darkness. Walk on over to another band. Pajo previously played with Slint and Yeah Yeah Yeahs; he joined Interpol last year after their figurehead bassist, Carlos D, quit. That lineup shuffle also brought in keyboardist Brandon Curtis (the Secret Machines) to the live roster, just in time for a few blithely received summer shows with U2 and fall’s self-titled fourth album.